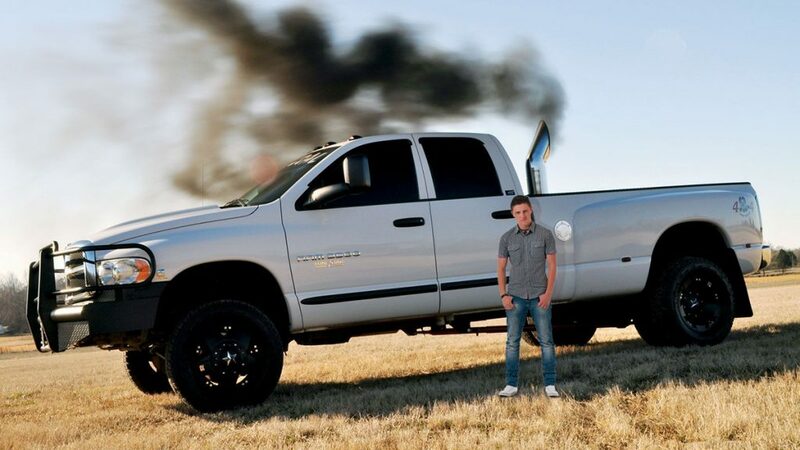 Dustin Jayce Dickens of Penn Valley and his unnecessarily large, rolled-coal Dodge RAM 3500. PENN VALLEY, CA — Standing at just over 5 foot 6 inches, Dustin Jayce Dickens of Penn Valley, CA felt no need to yield at his home town’s controversial roundabout because in his words, “why should I?” Mr. Dickens, who drives an illegally modified “coal-rolled” Dodge RAM 3500 truck, narrowly missed crushing a Toyota Prius which was exiting the roundabout yesterday afternoon. In psychology, compensation is a strategy whereby one covers up, consciously or unconsciously, weaknesses, frustrations, desires, or feelings of inadequacy or incompetence in one life area through the gratification or (drive towards) excellence in another area. Compensation can cover up either real or imagined deficiencies and personal or physical inferiority. Often people who exhibit this kind of behavior are horrendous dicks and haven’t been laid in decades.